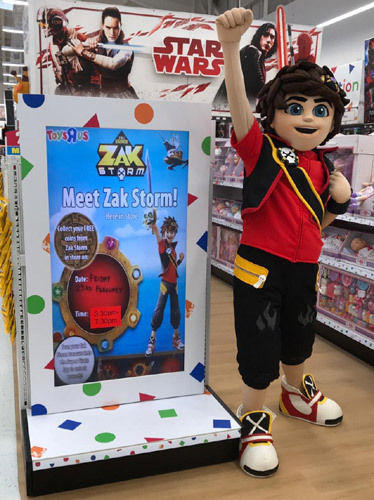 Zak Storm™ is a trademark of ZAG™ - METHOD. These are the official Zak Storm licensed characters, Zak Storm. Zak Storm is a natural leader and a keen surfer. During a surfing competition, he got caught up in giant wave which swept him into the Bermuda Triangle where he became captain of a ship called The Chaos. He now sails the Seven Seas of the Triangle with his misfit shipmates and his talking sword, Calabrass, looking for a way home and saving the day from Skullivar. 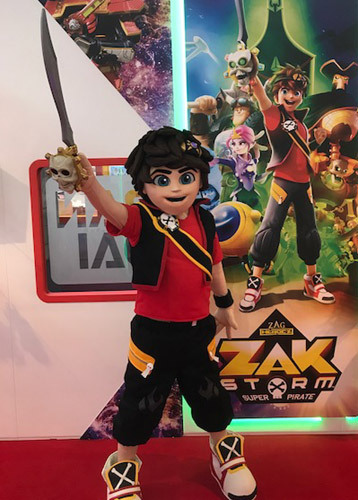 Zak Storm: Super Pirate launched on Pop in 2017. A second series in planned for release late 2018.